Perhaps you’re not all about the super girly pinks that so often come with Valentine’s Day. That doesn’t mean that you don’t want to celebrate romance and beauty with your sweetie, am I right? 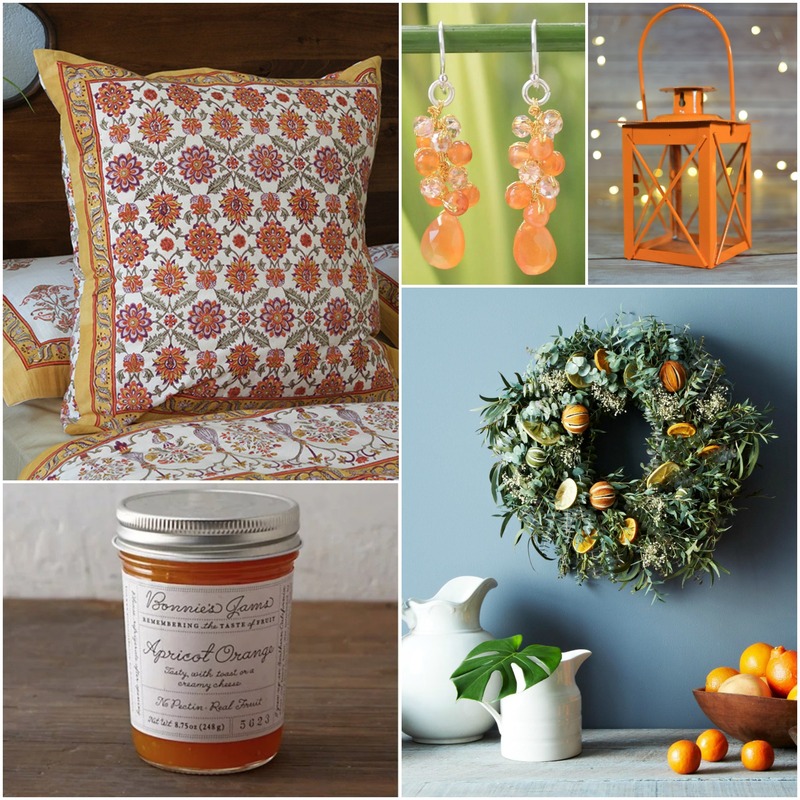 Enter Orange Blossom. 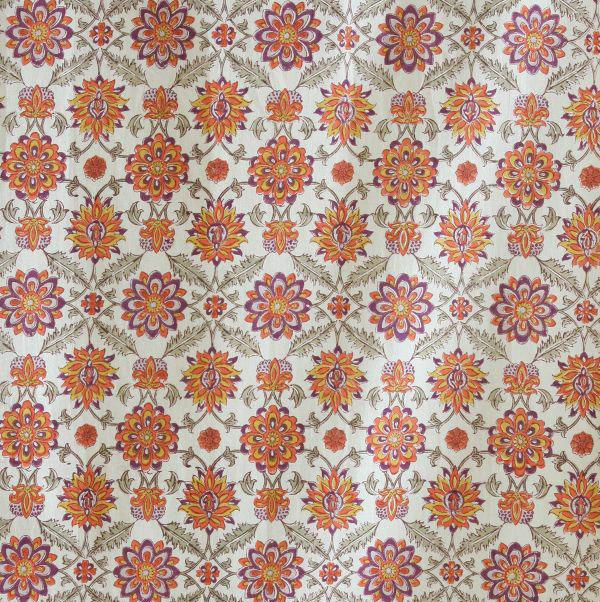 This is a lovely, Persian inspired print in vibrant garden hues. Is says “very special” without saying “frilly and overdone.” Let’s take a look! A bright yellow border gathers in blooms from a fragrant, eastern garden – rich green foliage and luscious, ripe citrus notes will create a cheerful and global vibe at your Valentine’s Day table. 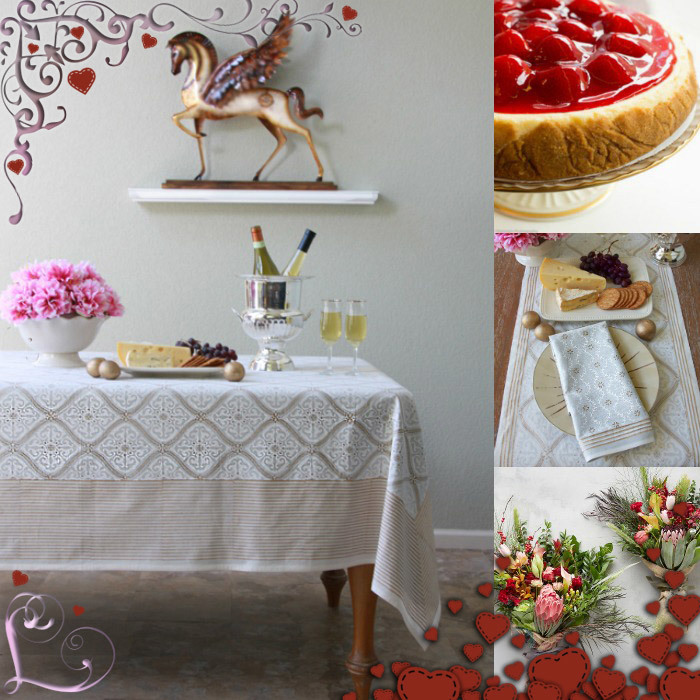 Our “bursting with blossoms” tablecloth will be lovely with neutral place settings, such as the selection above. 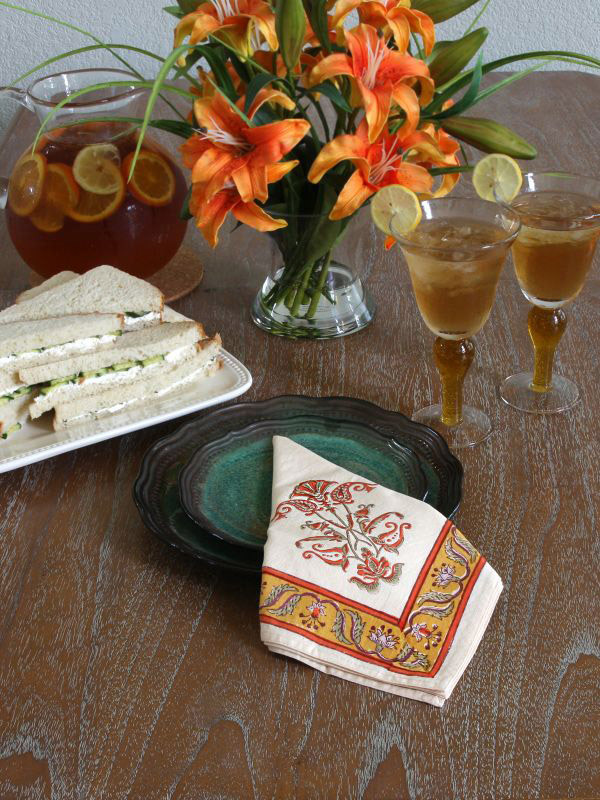 All the “Wow” can be saved for the artwork of the linens and of your creative meal. 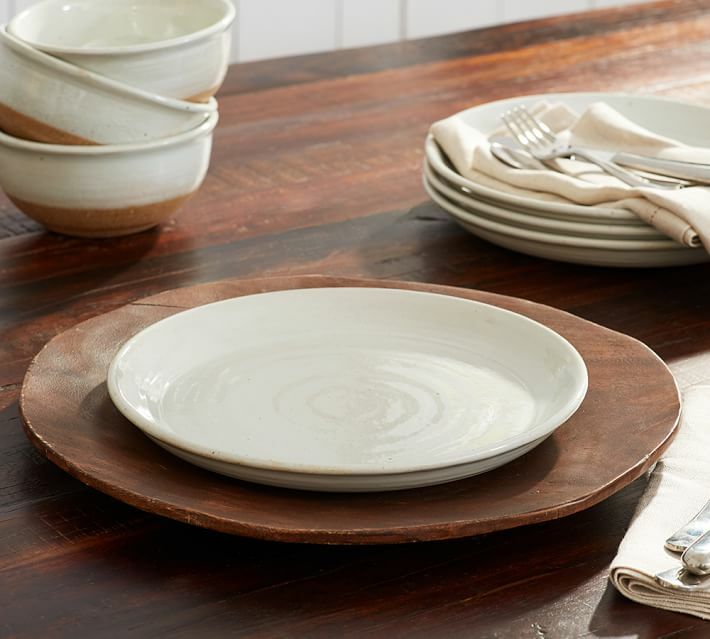 You may want to add a touch of subtle and organic color, and nothing could be more perfect than the partially glazed, warm tangerine stoneware in this collection. 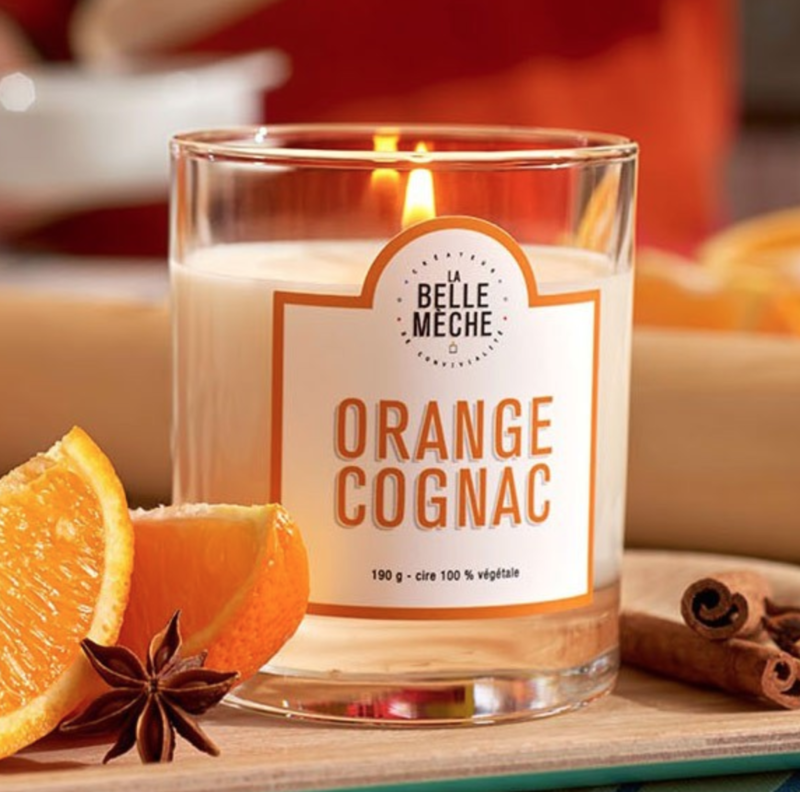 Tuck this fragrant candle onto a side table, or just inside the next room, and a heady scent of sensual orange will fill (but not overwhelm) the atmosphere. 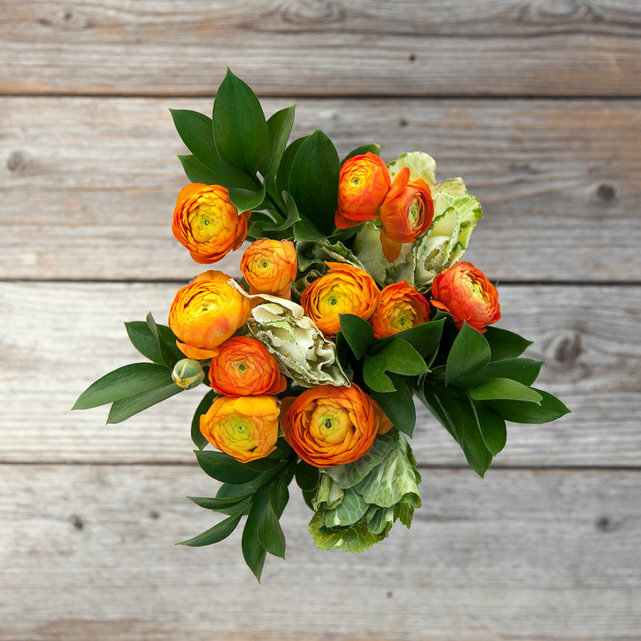 Play with the Orange Blossom palette by adding a gorgeously warm and bright bouquet to the table. Wrap the bouquet up in brown paper as a send-off gift to your date, or keep it all for yourself at home! 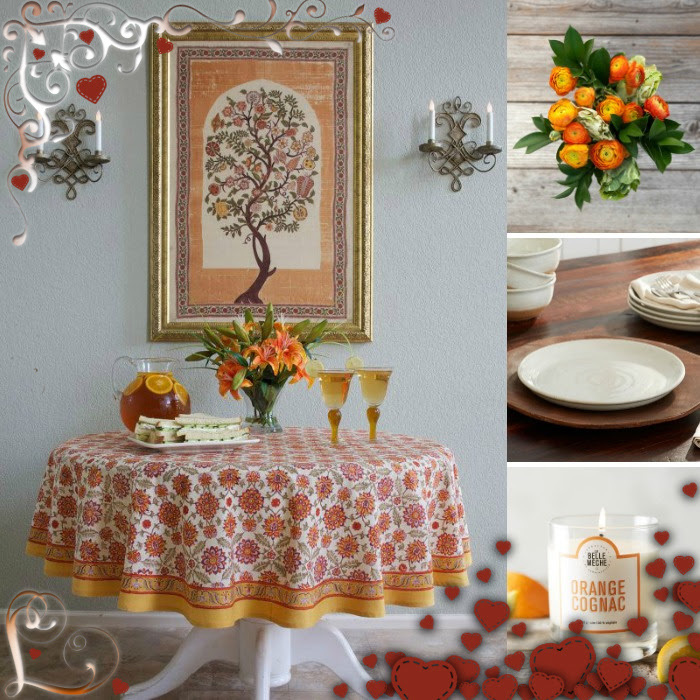 Dress up your table for the sweetest of days with a coordinating Orange Blossom dinner napkin. 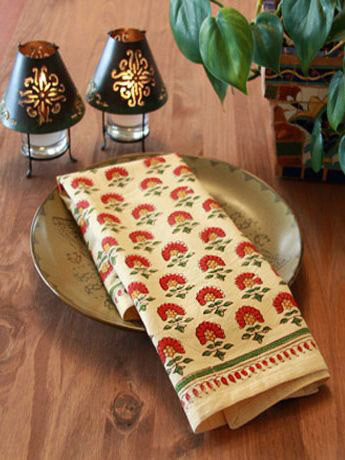 These lush cotton napkins will instantly elevate your meal, ensuring that your guests feel very special. 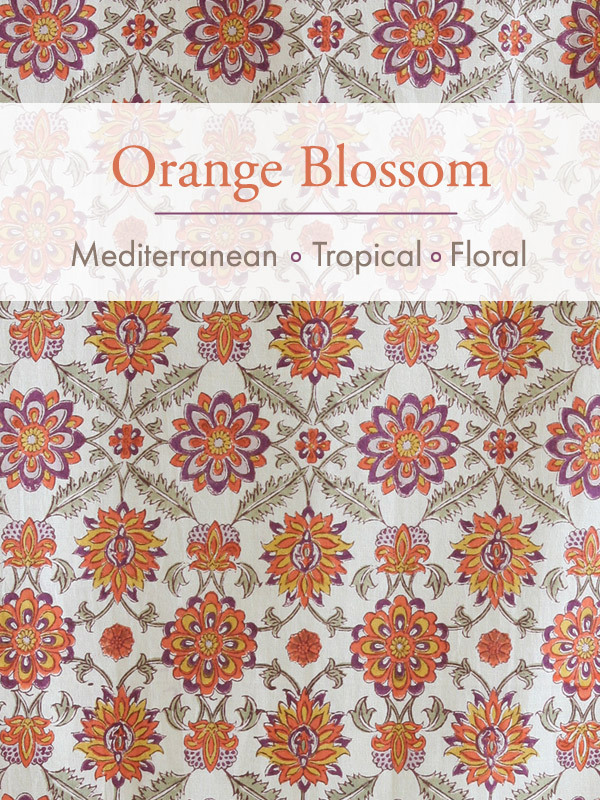 If you love the warm palette of Orange Blossom, but want to mix up the pattern a bit, consider using a Tropical Garden Dinner Napkin at your table. 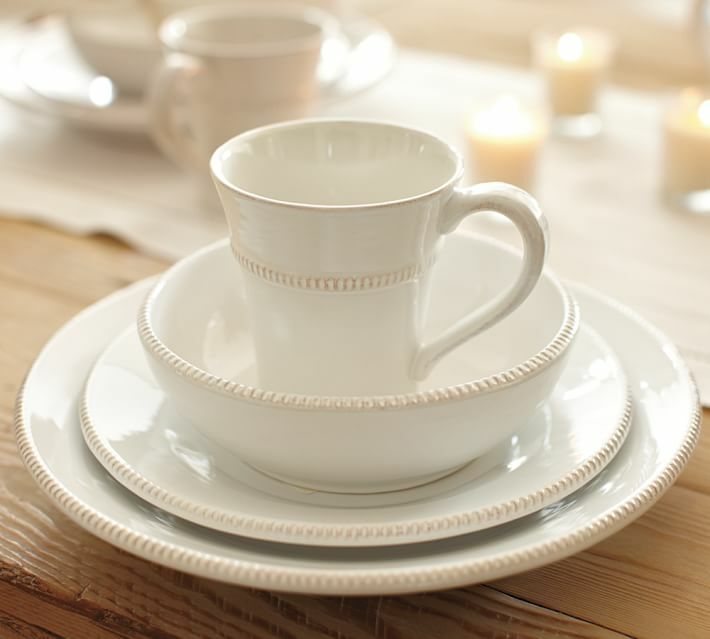 The bold, graphic, floral print will add to the sizzle and romance of your Valentine’s Day table. 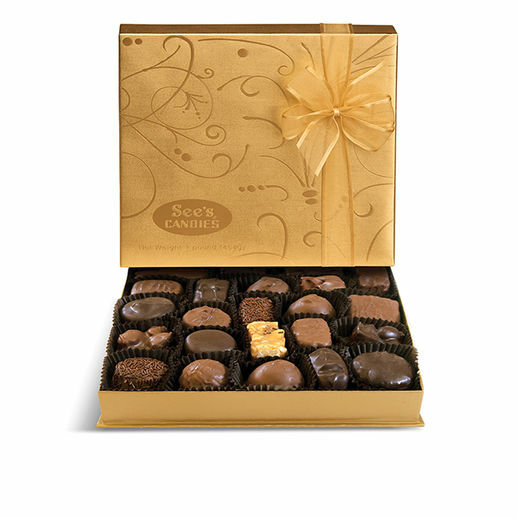 Now, to top our Orange Blossom table, we must turn to rich, delicious chocolate. 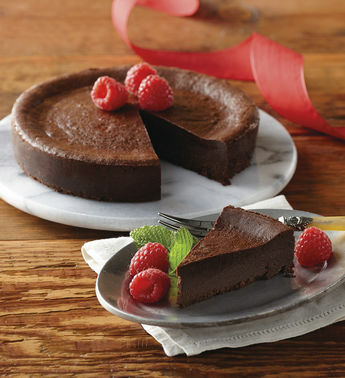 Of course, orange and chocolate were meant to be together! Let’s begin with something delightfully decadent. Fresh Whites and Blushing Reds Make for Romance on Valentine’s Day! → Create a Rosy, Romantic Bath Just in Time for Valentine’s Day!